The new announced Canon EOS R body and kit now in stock and shipping at B&H Photo Video & Adorama. Order now and shipping tomorrow. Up to $700 Off ! Canon Black Friday Sale Now Live ! Up to $700 Off ! 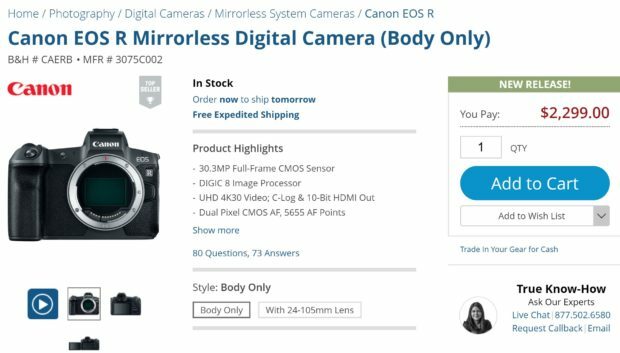 Canon Cyber Monday Deals Now Live ! Previous Previous post: 7D Mark II Body now Discontinued at B&H, 7D Mark III Coming ?